Plant varieties or variety is the population of plants that differ consistently from typical form of species, occurring naturally in a geographical area. In botanical nomenclature, variety is a rank below that of species: As such. it gets a ternary name (a name in three parts). The term is also applied incorrectly to forms produced in cultivation, which are called cultivars. A variety is indicated by a third Latin word (sometimes set off by the roman abbreviation. It follows the two-word term that indicates the genus and species. For example, Cotoneaster adpressus var. praecox. It is a more vigorous form of creeping cotoneaster than the normal one. Many plants that were considered varieties are garden plants. They are now considered as cultivars. Farmers and growers use seed plants which are adapted to the environment in which they are grown and which are suited to the cultivation practices employed. Therefore, farmers and growers use a more precisely defined group of plants, selected from within a species, called a “plant variety”. The UPOV Convention’s definition of a plant variety starts by stating that it is “a plant grouping within a single botanical Taxon of the lowest known rank. Example: The plant name pincushion cactus. Escobaria vivipara (Nutt.) Buxb. is a wide-ranging variable species occurring from Canada to Mexico and found throughout New Mexico below about 2600m. Nine varieties have been described. Where the varieties of the pincushion cactus meet, they intergrade. The variety Escobaria vivipara var. arizonica is from Arizona. while Escobaria vivipara var. neo- mexicana is from New Mexico. A “plant variety” is a legal term, following the UPOV Convention. Recognition of a cultivated plant as a “variety” (in this sense) provides its breeder with some legal protection. 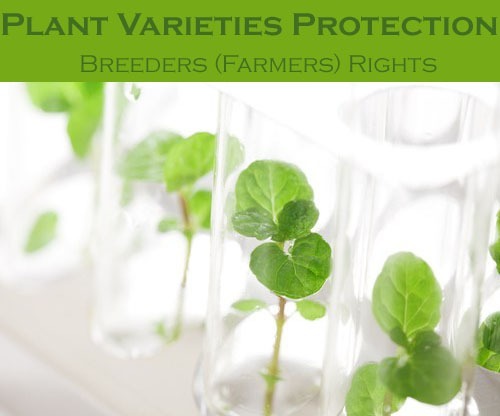 It is called Plant Breeders Rights, depending to some extent on the internal legislation of the signatory countries. Cultivar (regulated by the ICNCP). New varieties of plants have improved yields, higher quality or better resistance to pests and diseases. These varieties increase productivity in agriculture, horticulture and forestry. But they have imposed minimum pressure on the environment. The tremendous progress in agricultural productivity in various parts of the world is largely based on improved plant varieties. The development of new improved varieties with higher quality increases the value and marketability of crops. In addition, breeding programs for ornamental plants can be of substantial economic importance for an exporting country. The breeding and exploitation of new varieties is an important factor in improving rural income and overall economic development. Furthermore, the development of breeding programs for certain endangered species (like some medicinal plants) can remove the threat to their survival out in nature. It is a plant grouping within a single botanical taxon of lowest known rank. It is defined by the expression of the characteristics resulting from a given genotype or combination of genotype. It distinguished from any other plant grouping by the expression of at least one of the said characteristics and. According to UPOV, a breeder is the person who bred, or discovered and developed, a variety. the person who is the employer of the aforementioned person who has commissioned the latter’s work. This simple definition contains some important information concerning the UPOV system. The breeder, a natural or legal person, might be a plantsman, a farmer, a company or a scientist. For example; farmers are potential breeders. It also clarifies that the breeder is considered to be the one who bred the variety, i.e. created a plant variety by means of plant breeding techniques. The plant breeding techniques can range from classic “crossing and selection”, through modern procedures, such as genetic engineering. Novelty: A variety must not have been sold, or otherwise disposed of, in the territory of the member of the Union concerned for more than one year prior to the application for a breeder’s right. It is called novelty period. Distinctness: A variety should be distinct. It should be clearly distinguishable from any other variety whose existence is a matter of common knowledge at the time of filing of the application. Uniformity: A variety should be uniform if it is subjected to the variation that may be expected from the particular features of its propagation. It should be sufficiently uniform in its relevant characteristics. Stability: A variety should be stable if its relevant characteristics remain unchanged after repeated propagation. Denomination: Each member of the Union must register the denomination of a new plant variety at the same time as it issues the title of protection for the new variety.